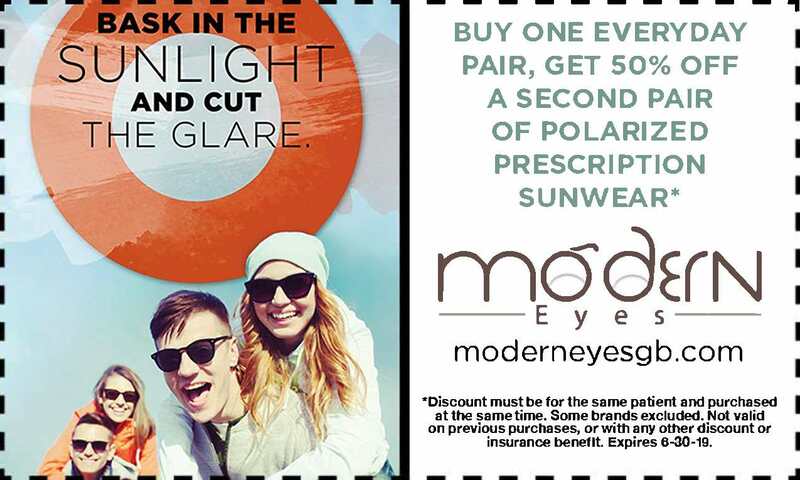 Purchase a complete pair of eyeglasses, frames, and lenses, and receive 50% off a second pair if purchased the same day. Receive 20% off the second pair of eyeglasses if purchased within 90 days of a complete pair. Receive 20% off a complete pair of eyeglasses or sunglasses if purchased within 90 days of your annual supply of contact lenses.